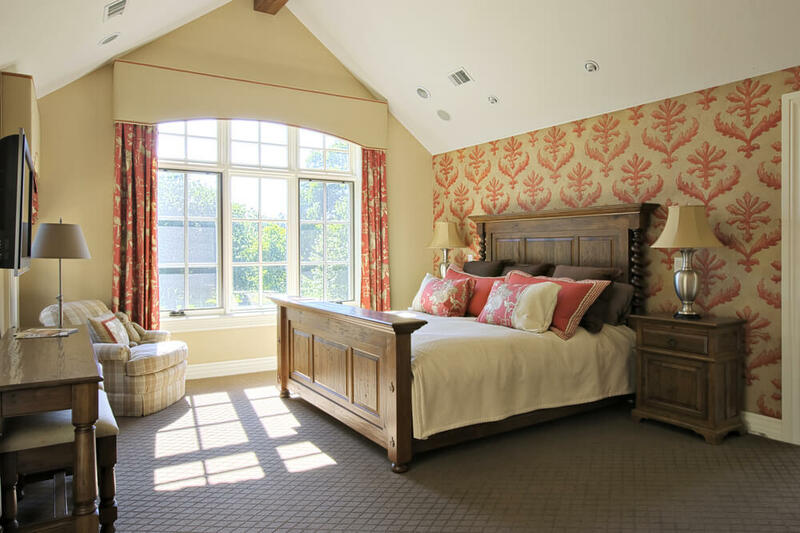 Master bedroom flooring ideas and designs for your home. From light, dark, walnut, Brazilian, cherry and gray hardwood floors. Welcome to our gallery of 32 stunning bedroom flooring options. 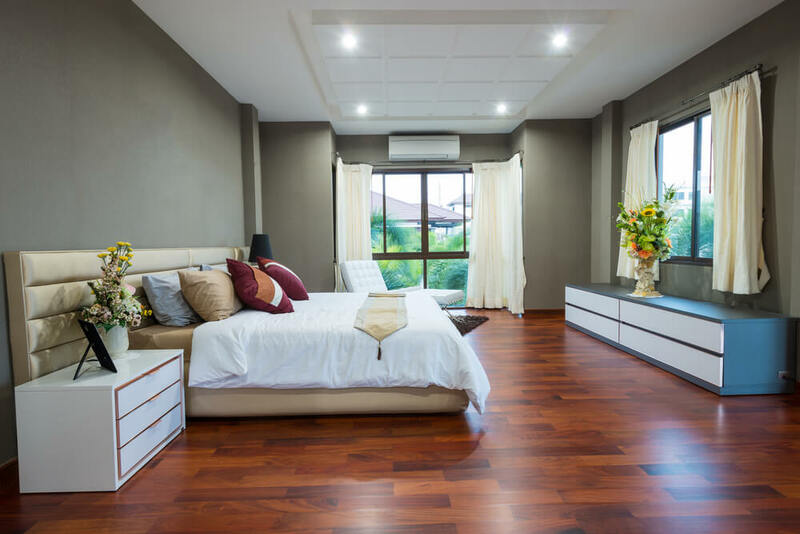 Whether you are looking for light or dark hardwood floors for your master bedroom, this post will leave you inspired and ready to renovate your master bedroom flooring. 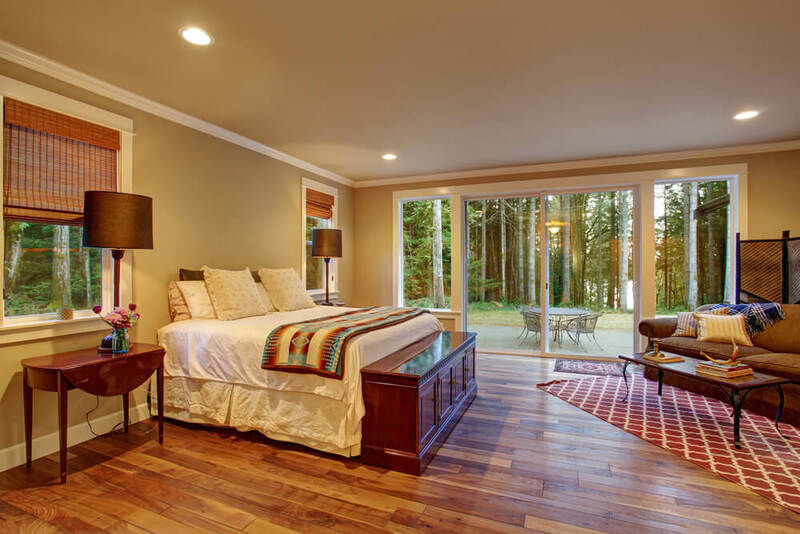 Master bedrooms flooring options vary greatly from carpet, tile or hardwood flooring. 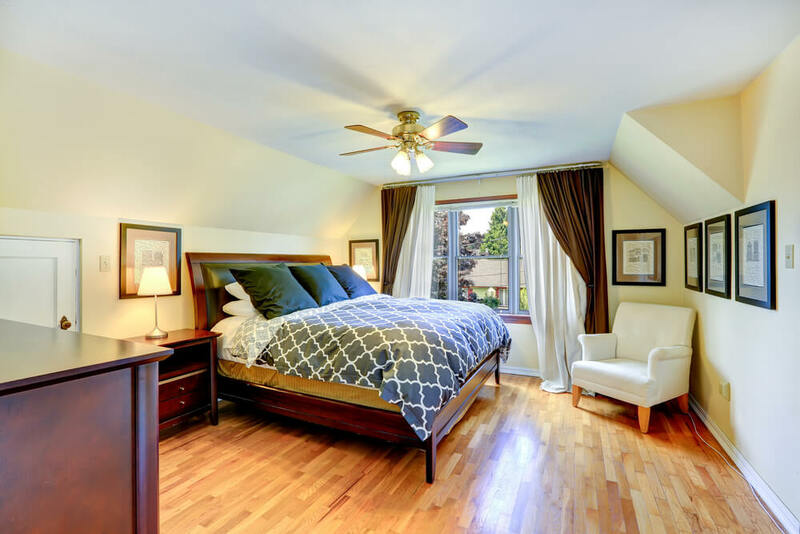 While many choose to change their master bedroom flooring during a larger flooring renovation (like a changing the entire house), some will choose a smaller project of just focusing on their master bedroom. 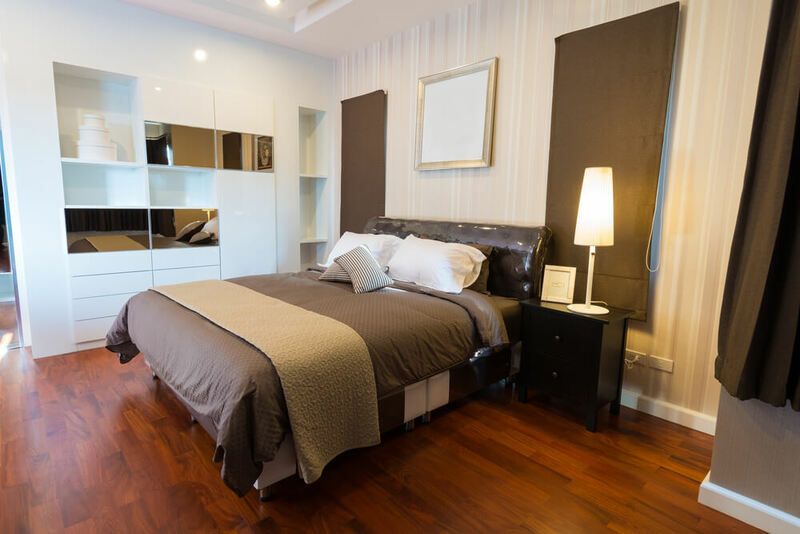 While choosing wood flooring for your master bedroom can be an easy choice when the whole house is going through a change, choosing to just renovate the flooring in your bedroom may be a bit trickier. If you are lucky you may be match other hardwood flooring you have in other rooms in your house. Unfortunately, many home owners will be in for a big surprise when trying to match new flooring they are wanting to put in, to existing flooring in their home. If you are lucking enough to find the correct flooring manufacture and model number, don’t be shocked if your wood flooring is discounted. In some cases the manufacture has a limited stock they are holding in case of emergencies, they are willing to sell at a premium much above what you were expecting to pay. 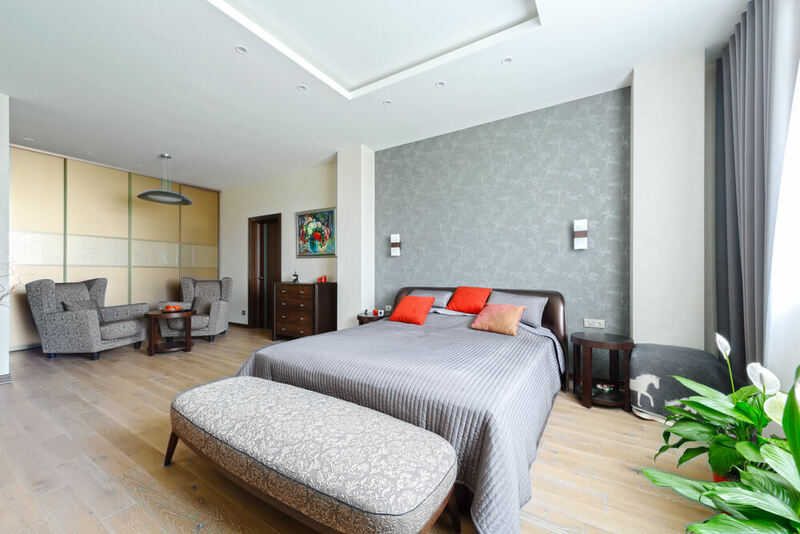 Think about the bedroom flooring transition. Are you going to be butting up against more hardwood floor, carpet or tile? You’ll want to make sure you find a slick way to make the transition as clean and elegant as possible. 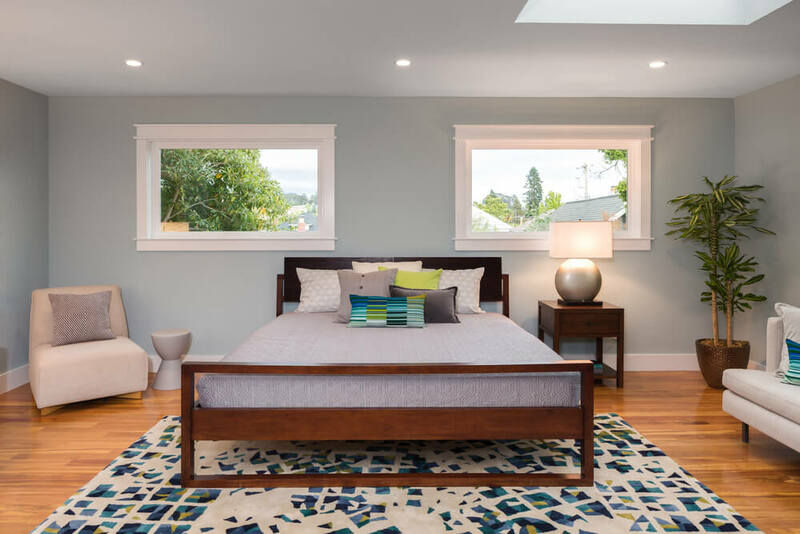 We hope you get some great ideas from this gallery so you can start on your dream master bedroom today! Dark Brazilian hardwood flooring with a tradition rug is a stunning and timeless look. 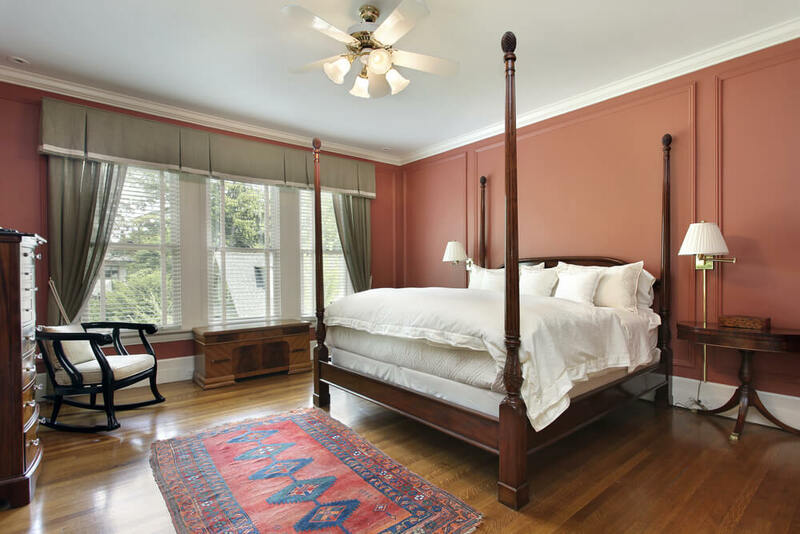 Classic and traditional hardwood bedroom flooring is the perfect choice in this colonial style house. 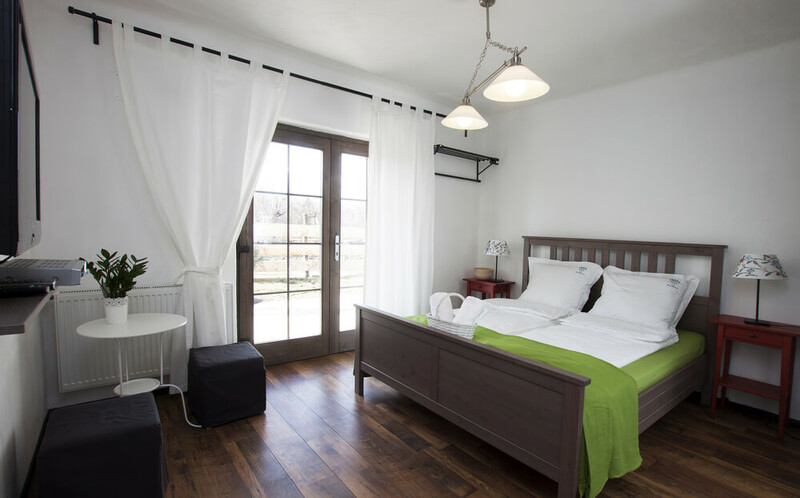 Light oak wood floors with lots of knots give a warm country feel. Light laminate wood flooring is a nice durable options for those on a budget. Medium finished hardwood flooring with scraped wood and a brick layout design. For a Modern look this oak wood floor was gray washed. A beautiful, rich and contrasty wood floor pops off the image and ads life to the room. A traditional wood floor with modern decor. 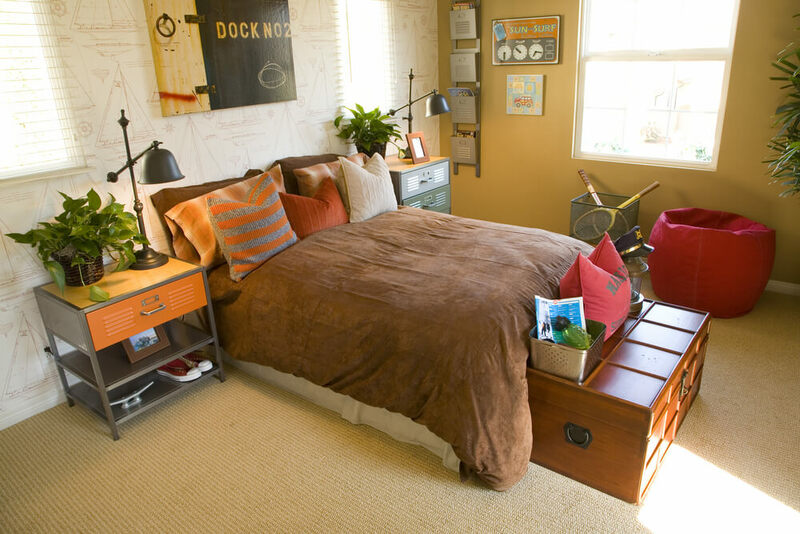 Tan and beige color pallets match the flooring option here perfectly. 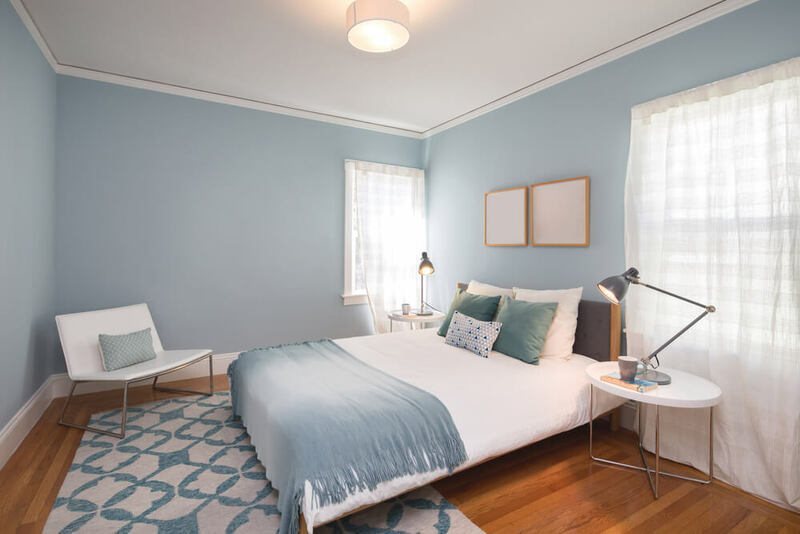 Grays and teals are a great color combination for any bedroom. For a high end look with your flooring, stager your planks to create a more dynamic look and range. A tufted headboard with a mirror as the centerpiece on the wall. 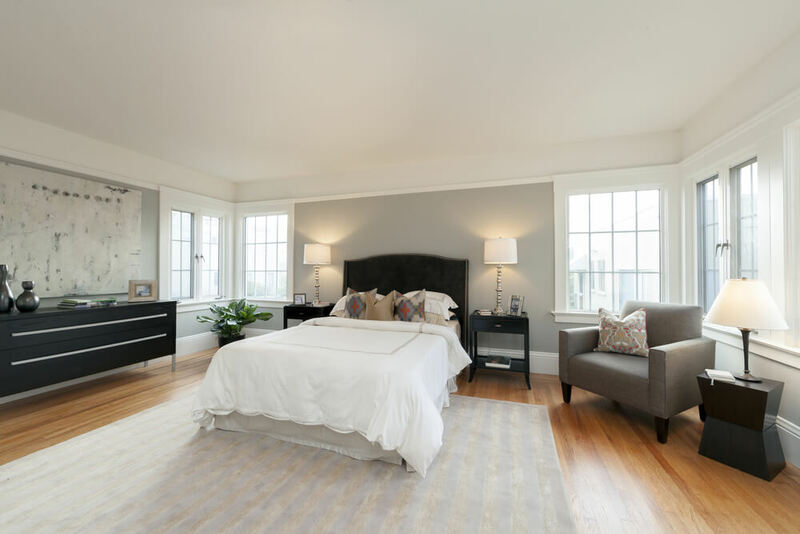 A luxury master bedroom with bay windows and a framed flat screen tv. 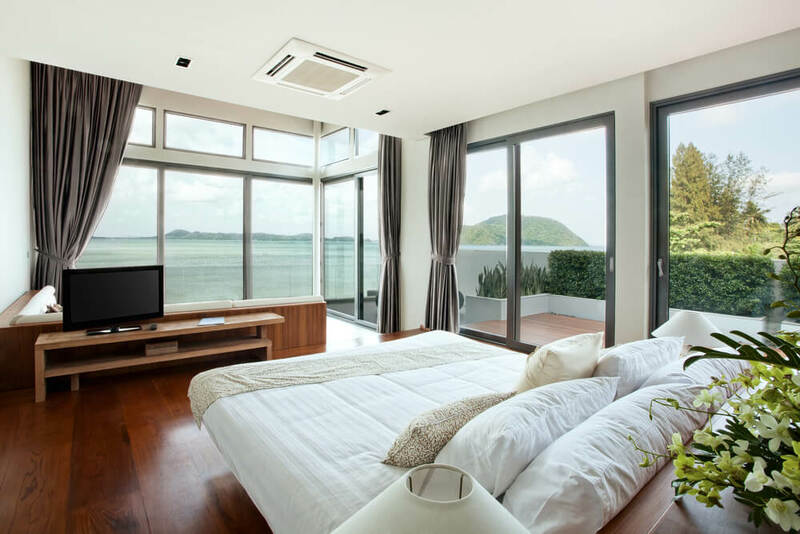 A modern and classy take on the master bedroom. A double door entry into a bedroom with light floors and purple accents. 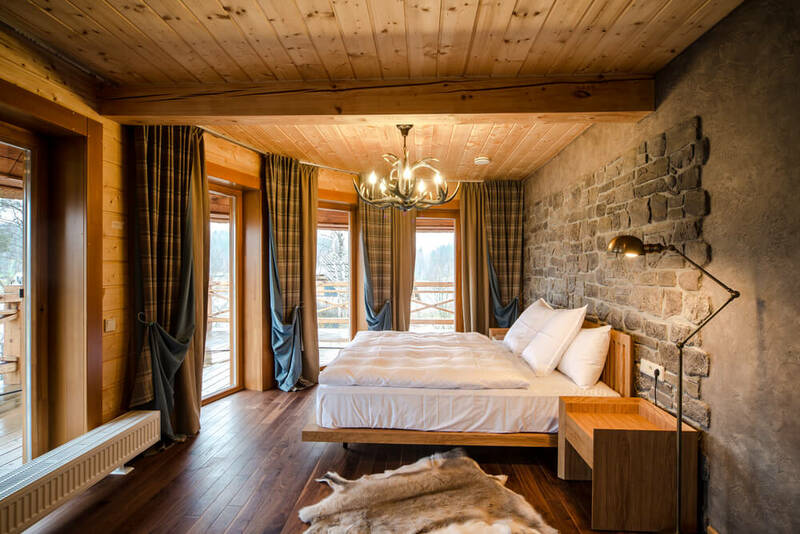 A Rustic bedroom get away with stone wood and fur as decor. 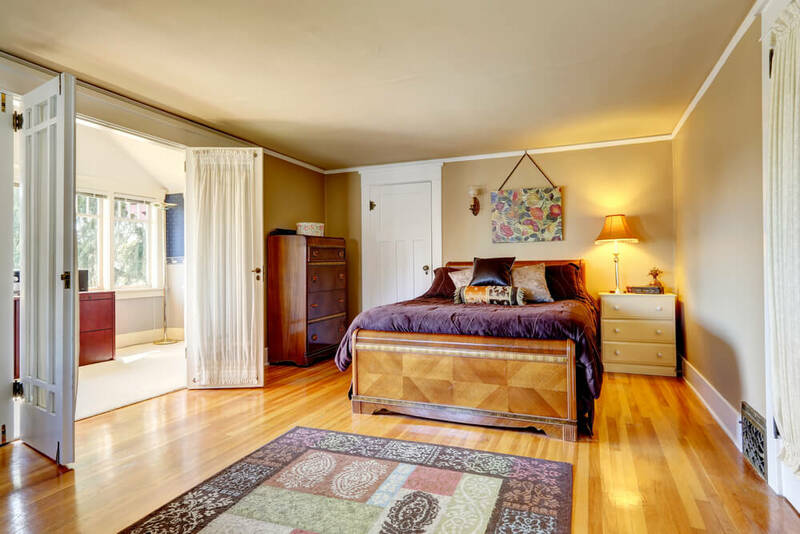 Cherry flooring with a brown and gold comforter. 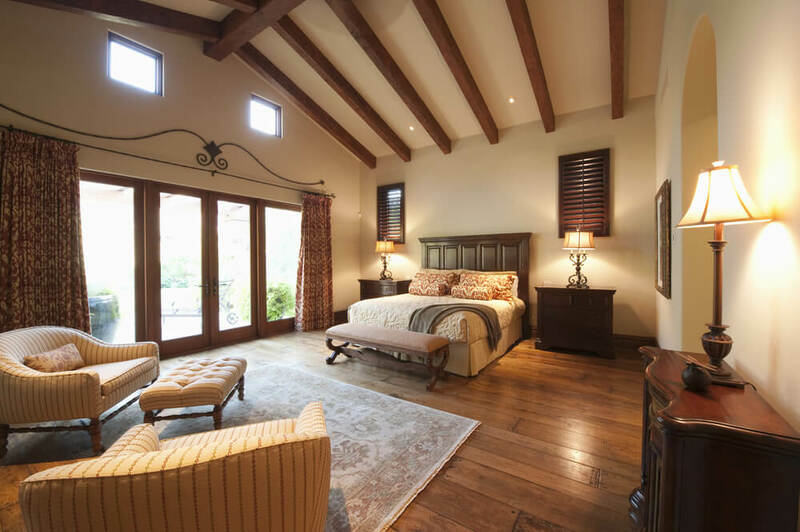 A Spanish styled Master bedroom with dark wood furniture and a serous place to relax. We love the drama this flooring brings to the room as the contrast really pops. Modern and sleek furniture on top of this two toned flooring. large plank hardwood floors are a great option. We love this example in cherrywood. 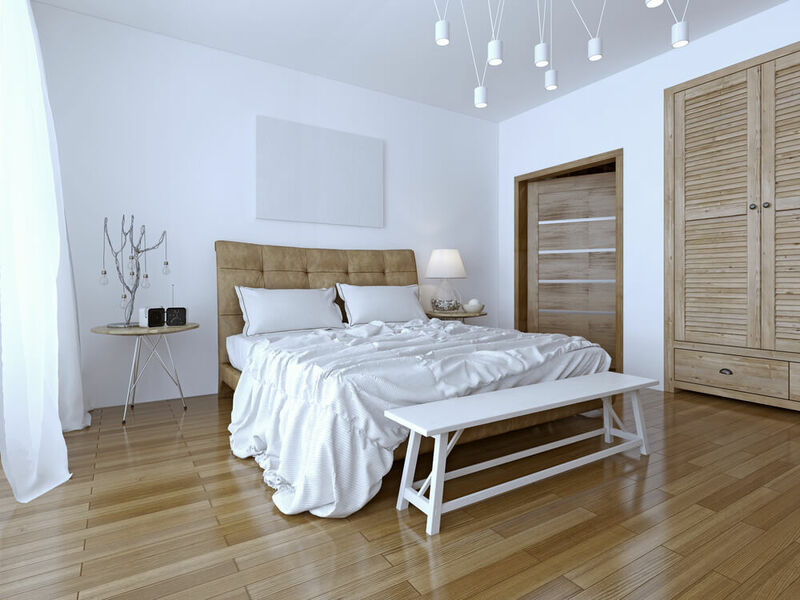 A simple yet inviting bedroom with wood floors. With a large traditional rug, make sure to more the rug around so sun damage does not leave you wood floors faded. 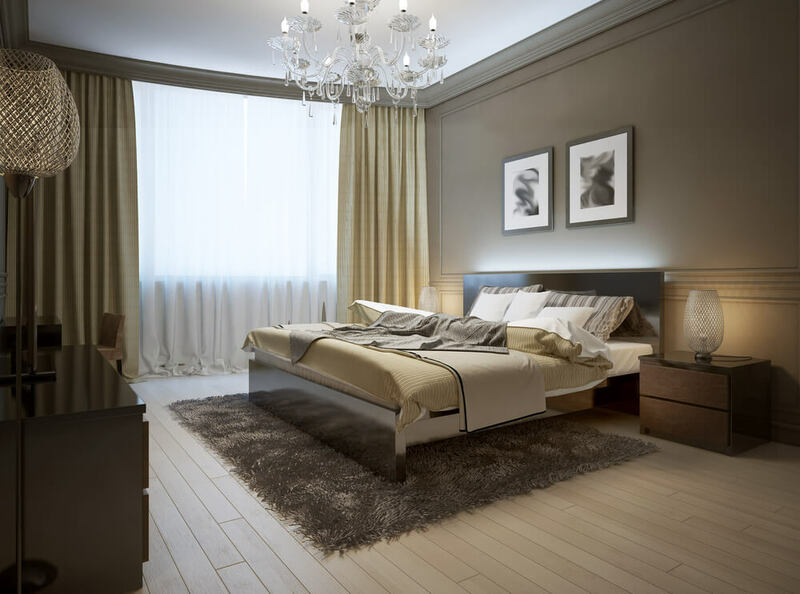 Dark Walnut hardood flooring is a stark contrast against a white fireplace and light bedroom sheets. 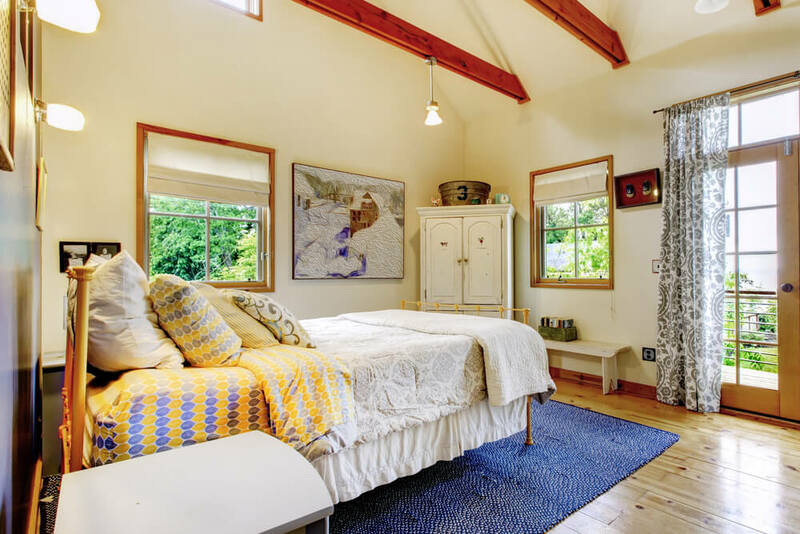 A cozy room with wood floors to match. Hand scrapped hardwood floors next to a marble fireplace and traditional rug. Dark walls with stunning wood work and fluffy gray rug complete this look. Master bedroom interior with beautiful queen size bed and white armchair in the corner.